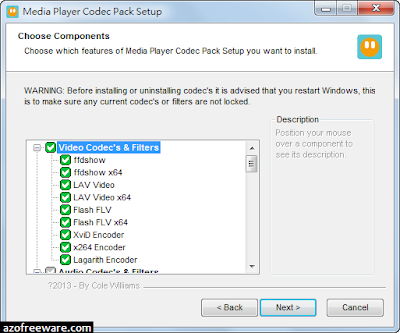 The Media Player Codec Pack supports almost every compression and file type used by modern video and audio files. 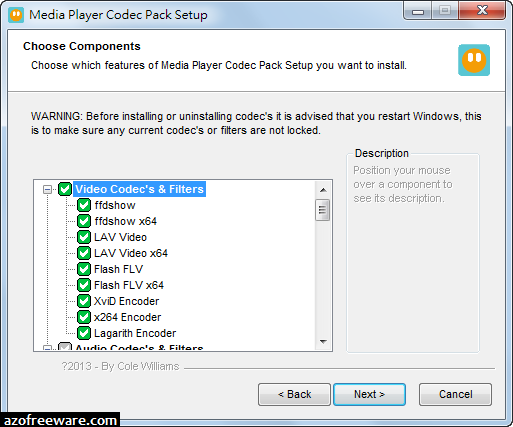 10bit x264 | x264| h.264 | AVC | DivX | XviD | MP4 | MPEG4 | MPEG2 and many more. .aac | .ogg | .ofr | .mpc | .3gp and many more.